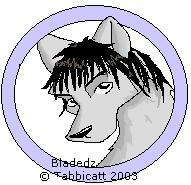 This is a neopets cirle for my Bladedz -huggles him- he's a secksay lil thing. o.o I do not know where this picture came from. 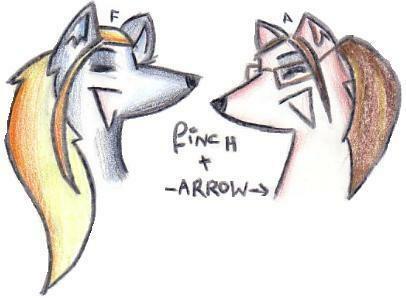 Finch, who is very nice, with Arrow, who is very nice. Laughter and jollity. Yah. I shall dedicate this to them. My Blade, and Eagle again in all her beauty. Blade is (c) me, and Eagle is (C) Virus. \r\nI like the tails and her hair, and the pose is nice although the positioning of her arms went slightly wrong. 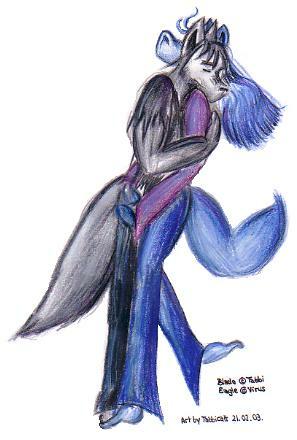 I love the pic though, so sweet and romantic. 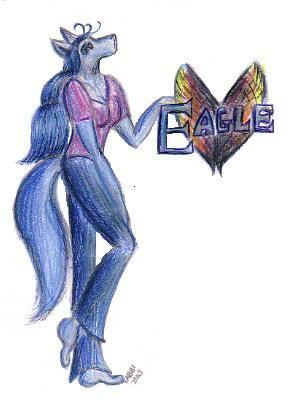 A pic' of the lovely Eagle, maybe for her page or something. It doesn't show her true beauty, but attempts to. The angle of her neck and the hair beside it is a bit odd, and the name and wings could have been better, but it's a reasonable picture. The tail is nice. Eagle is copyright to Virus, a great friend, who is also lovely. A lilac-haired femme lupey. 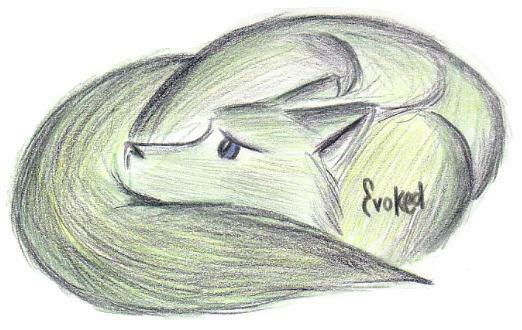 Unnamed for now, I may name her and turn her into a char in the future. Winged, and damnit I forgot to give her a tail. -hits self- doh. I like what I did draw, though, the proportions are nice.